I wrote a post recently about the British culture and traditions that surround Afternoon Tea. As I live in Germany and my wife is originally from Poland, I thought it worth thinking about how other countries see tea. In addition, what are the similarities (or differences) to British tea culture. As I’ve learned, there are a lot….. Tea is a popular drink in Poland. Although far less is consumed than in the UK, the total per capita is more than three times that of Germany. 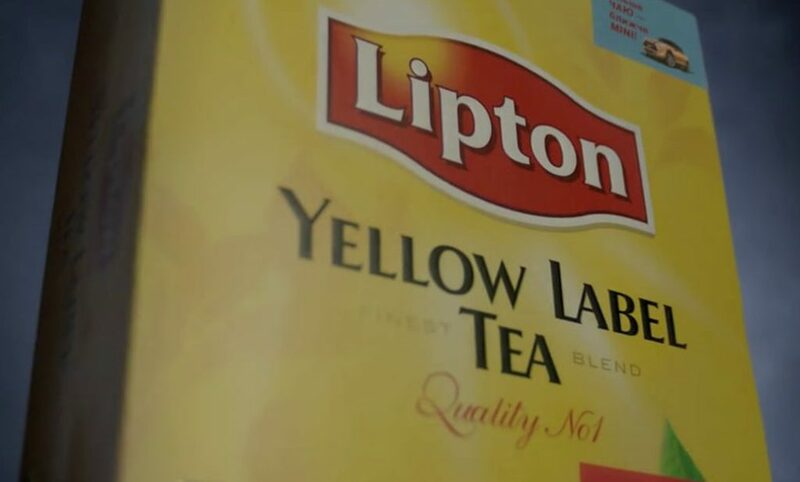 In addition, the most popular tea is actually British in origin – Lipton Yellow Label! One odd aside to this is that Lipton Black Teas cannot actually be bought in the UK..! Taking the stereotype of a builder in the UK making tea, the usual method involves a lot of furious stirring and prodding of the teabag to maximise the strength. I soon realised with a Polish wife this isn’t how they do things. The first cup of black tea I made for my wife was returned instantly with a “what the hell is that” comment. Apparently “black” shouldn’t mean “black” – it should be a kind of orangey colour. And then with a slice of lemon chucked in. This was all new to me. As a result, I developed a highly scientific “in/out” technique: I’d dangle the teabag over the cup of steaming water, drop it in and then instantly remove it in the shortest possible time. The time the teabag spent in the cup was therefore minimised (I’m guessing this is why the Lipton Yellow Label teabags come with strings and a tag – it aids this technique). Over time, I refined this technique so I could serve tea to my wife to the desired strength! As for me, well I need two Yellow Laber teabags and a lot of teaspoon action to create the required strength. There will be a lot. If you’re invited home by a Polish family – prepare yourself. There will be an onslaught of cakes that will be offered not just in the afternoon, but also I’ve learned for breakfast. Make sure you have room in your car too to take some home at the end of your visit. I’m not being mean – this is wonderful Polish hospitality at its finest. A guest is treated like a King, and you’ll be introduced to many delicious baked delicacies by your host. But make sure you go with an appetite! If you tuck-in and enjoy what your host has prepared, you will be welcome anytime! The Poles are also Anglophiles: On my first visit I was proudly offered tea from the above teapot and mug. 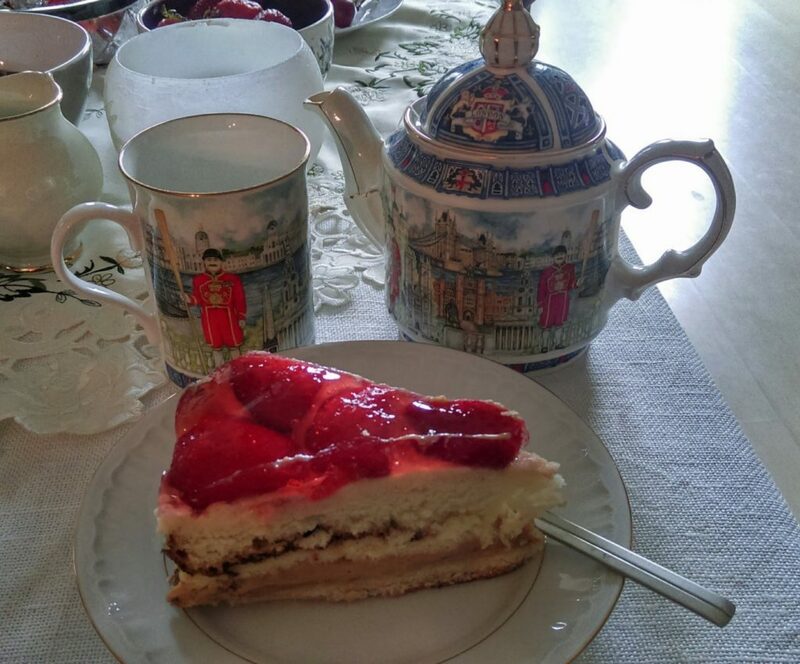 Even though I was in the depths of Southern Poland, we all sat down and enjoyed some wonderful cakes and tea. Different countries and different traditions and customs, but the Polish do a wonderful “Popołudniowa herbata” too! But make sure you’re hungry. That’s important!